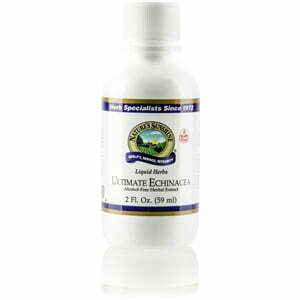 Nature’s Sunshine Ultimate Echinacea Liquid blends three of the most beneficial echinacea species. Echinacea purpurea, echinacea angustifolia, and echinacea pallida come together into this powerful formula to provide essential immune system support. 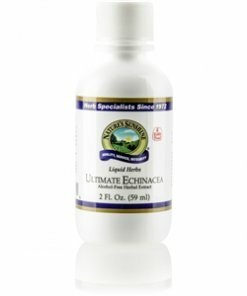 Ultimate Echinacea Liquid is alcohol-free, sweetened with natural vegetable glycerin, and easily absorbed by the body. Echinacosides, glycoproteins, isobutylamides, and polysaccharides are all components of different species of echinacea and are found in this liquid extract. Instructions: Adults: Take approximately 15 to 20 drops (1 ml) in water with a meal three times daily. Children age 6 or older: Take approximately 5 to 10 drops (0.5 ml) in water with a meal three times daily.